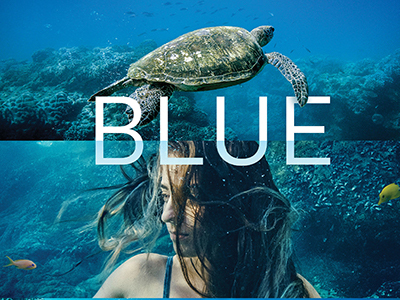 Join us for a screening of the environmental documentary BLUE, followed by a Q&A with Tim Silverwood, co-founder of Take 3 for the Sea. This event will support the work of Take 3 for the Sea - a not-for-profit organisation committed to reducing plastic pollution and promoting the transition to a circular economy through education and participation. Please remember your reusable cups and bottles to help us reduce single-use plastics at this event. BLUE is the story our generation need to hear. The industrialisation that has occurred in the oceans over the last century mirrors the events that triggered mass extinctions on land. Industrial scale fishing, habitat destruction, species loss and pollution have placed the ocean in peril. The very nature of the sea is being irretrievably altered. BLUE is a provocative journey into the ocean realm, witnessing this critical moment in time when the marine world is on a precipice.